In the practical illustrated guide, world-famous astronomer, Patrick Moore, turns his infectious enthusiasm and unparalleled authority to the skies above Australia and New Zealand, southern Africa and South America. Written for curious observers and dedicated astronomers of all ages, Stars of the Southern Skies shows you how and what to look for in your night sky. It plots and describes the stars of summer, autumn, winter and spring and examines the history of star-gazing. Patrick Moore also investigates telescopes and binoculars, our solar system, cosmic debris, the variety of stars, the flight of galaxies and the possibility of life in the universe. 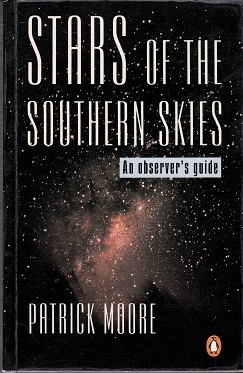 Whether you have simply gazed in wonder at the beauty of the night sky or whether you track the movements of stars regularly, this book will give you a new understanding and enthusiasm for Patrick Moore and the southern skies.